Readers of newspapers prefer -- paper. In relation to the time they devote to their favorite papers, the digital editions play only a marginal role. This is the rather surprising result of a study of British papers by LMU’s Neil Thurman. Nowadays, one often hears that the age of journalism is over, that the daily paper is irrelevant, and the future belongs to the digital media. But in fact, a new study finds that the old-fashioned print editions of established papers are far more popular than is generally believed: In terms of the total amount of time readers devote to newspapers, 89% goes to the print edition. Online and mobile formats take up what’s left -- 4% and 7%, respectively. “Digital media have significantly extended the reach of major newspapers, in some cases several fold,” says Neil Thurman, a professor in the Institute for Communication Sciences and Media Research at LMU, and the author of the new study. But he found that, on average, readers spend 40 minutes per day reading the print edition, while the same titles on digital platforms manage to engage their attention for less than a minute. “Scale those numbers up and you can see why newspapers still rely on print for the vast majority of the attention they receive,” says Thurman. The study appears in Journalism Studies. In the course of his study, Thurman analyzed data collected by the UK National Readership Surveys and by comScore (a market research firm) for eleven of the leading daily papers published in the UK, including The Guardian, The Times and the tabloids The Mail, The Sun and The Mirror, for the period between April 2015 and March 2016. Thurman believes that the results of his survey may well apply to the German media landscape also. 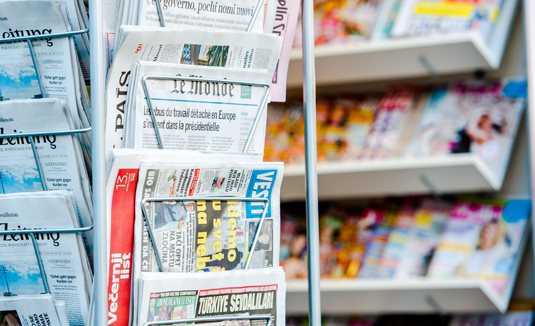 In fact, data published in the Reuters Institute Digital News Reports suggest that in Germany printed newspapers are 38% more likely to be used as a weekly source of news than online newspapers. In the UK the figure is 13%. “Therefore, given the relative popularity of printed newspapers in Germany, I would expect that Germans would spend even more time with newspapers in print than readers in the UK,” Thurman concludes.